Today’s biomethane producers want more than conventional solutions. They strive for an effective CO2 and CH4 recovery management to maximize yield and minimize environmental impact of the biogas plants. 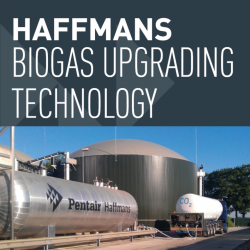 Pentair Haffmans’ innovative biogas upgrading technology offers substantial advantages compared to conventional systems. Efficient CO2/ CH4 separation requires that the impurities are first removed, which is accomplished with activated carbon. Membranes are used to separate the CH4 and CO2. The high pressure biogas is fed into the membrane and the CO2 passes through the membrane surface to the permeate – the low pressure side – more rapidly than CH4. Because the membranes are pressure driven, higher pressure will push more CO2 through the membrane surface. The discharge from the membrane (the retentate) contains mainly CH4 as the CO2has been pushed through the membrane surface. The CO2 rich gas leaves the membrane on the low pressure side of the membrane (permeate). Pentair Haffmans goes one step further by recovering the CO2 gas after the membrane separation unit. This system recovers 100 percent of the CH4 by producing 100 percent pure CO2 and sending all impurities – including the CH4 – back to the membrane system, instead of reducing CH4 emissions by burning the CO2rich stream coming from the membrane system. Pentair Haffmans recovers the CH4slip from the membrane unit and provides the possibility to produce a second product – green CO2 – out of the natural biogas. The CO2 recovery system cost efficiently separates the CO2 from the gas stream, which allows 100 percent recovery of CH4 and production of green CO2. The system compresses, purifies, dehumidifies, and liquefies the CO2. When the CO2gas is ejected to the atmosphere the liquid CO2 is re-used within the system to save energy. This results in a cost efficient separation of CH4 and CO2. When the CO2 is sold as liquid CO2 an extra cooling unit and a liquid CO2 storage tank is required. The addition of this system increases electric energy requirements, but gains a second product to cover these costs. 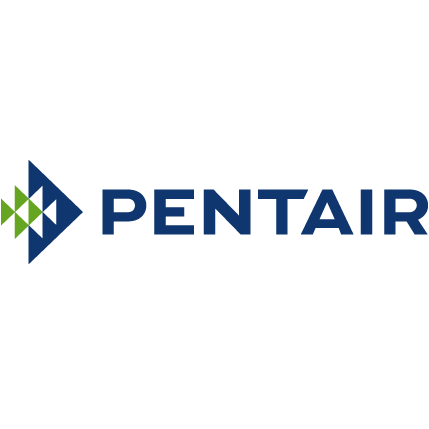 Pentair Haffmans offers trend-setting solutions for biogas upgrading and CO2recovery in biogas plants using membrane and cryogenic technologies. The following table gives you an overview on our product portfolio. The Standard System uses membrane technology to upgrade biogas to biomethane without the possibility to recover CO2. This system uses membrane and cryogenic technologies to enable customers to produce biomethane without any methane slip. The produced CO2 is used to reduce the energy consumption during the upgrading process. The Advanced Plus System uses membrane and cryogenic technologies, and eliminates any methane slip. The CO2 by-product is recovered and liquefied for use in a variety of applications. This Compact Enclosed Skidded CO2 Recovery System can be connected to any existing biogas upgrading plant to minimize the plant’s CO2 footprint and allow for a wider choice in feedstock. The recovered CO2 can be used in a variety of applications including fertilizer in greenhouses or for dry ice production. As it complies with EIGA specifications the liquefied CO2 can be sold to third parties.